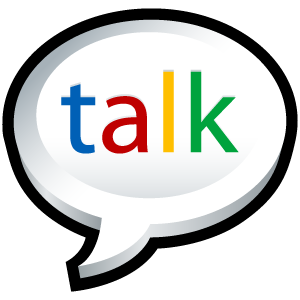 Gtalk is a product of google.Introduced several times ago through google,the search engine giant.Using this software you can socially get connected with your friends and family through voice chat and text chat.It do have some great features in it.If you wish to block or remove anyone from your existed gtalk account to get rid of from their chat messages and voice messages you can simply do that following our instructions. If you wish to remove a person or a friend from your existed Gtalk Friend list then you can simply do it following these steps. Once you get that person or friend id then simply right click and select remove option. Nowa popup window will open,toblock that person follow steps as per the below screenshot. This popup is generally to take your final confirmation so that if you mistakenly clicked on remove option first time then in that case you can simply ignore this popup window too. Here is the method to directly block a person from gtalk account without removing.So follow these steps. First navigate to that person chat profile box and right click on that person name and select block option. After clicking on block option it will ask you for final confirmation just as per the below screenshot. Keep in mind, once you have blocked anyone in your gtalk list then he can not chat with you in gtalk or can share anything. You have to unblock that person if you want to allow chat from him. So that's it.Now you easily block or remove any person from your gtalk account.Stay with us for more such exclusive tutorials. I'll bookmark this for future reference. As of now, I don't have anyone on my block list but if ever I need to block someone, I'll follow your instructions. Thanks for sharing this. Question: Once you unblock the person, can you also retrieve the messages he sent while he was still blocked? If yes, how? No you'll not able to get those messages.